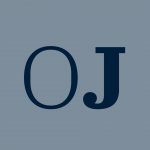 Guest Post: Two-thirds of 45–Does Life Mean Life at the ICTY? 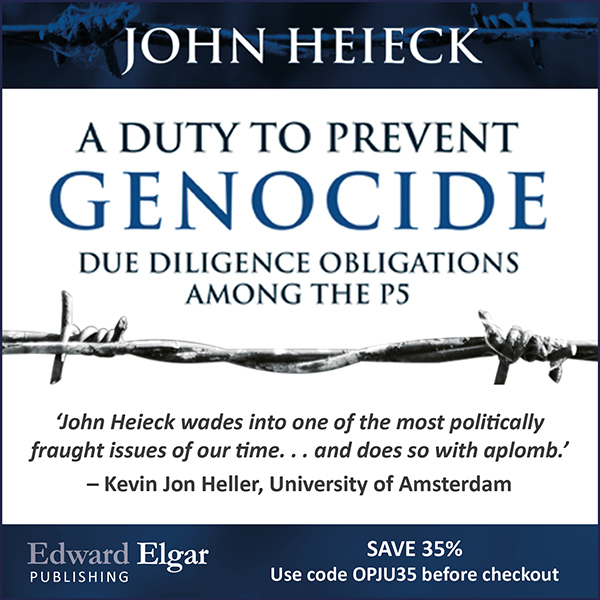 15 Jul Guest Post: Two-thirds of 45–Does Life Mean Life at the ICTY? Should “life mean life” for those convicted of genocide, crimes against humanity and war crimes and sentenced to life imprisonment? Until now there was no clear answer. However, in Prosecutor v. Stanislav Galić rendered by the Mechanism for International Criminal Tribunals (MICT) on 23 June 2015 (the Decision), MICT President Meron sets out clearly for the first time that a person convicted by the ICTR, ICTY or MICT (the Tribunals) and sentenced to a term of life imprisonment may be considered eligible for early release, in other words life does not necessarily mean life. In this landmark decision, prompted by an early release application by Stanislav Galić, currently serving a sentence of life imprisonment in Germany where its law allows for release of prisoners serving life terms after 15 years, the decision aligns the Tribunal’s sentencing practices with current international human rights jurisprudence that prisoners serving life sentences should be afforded both the possibility of review of their sentences and a prospect of release. Referring in particular to the recent Vinter and others v. United Kingdom European Court of Human Rights Judgement, as well as guidance from the United Nations Standard Minimum Rules for the Treatment of Prisoners and the International Covenant on Civil and Political Rights that emphasize the rehabilitation of prisoners, President Meron makes clear that a sentence of life imprisonment at the Tribunals does not mean locking-em-up-and-throwing-away-the-key but instead comes with at least the possibility of early release. The Decision also addressed when the eligibility for early release occurs. Galić argued that eligibility should be determined by the domestic law of the state in which a convicted person is serving; in his case Germany where eligibility for early release from a sentence of life imprisonment comes after 15 years. The Prosecution, while not necessarily opposed to the notion of early release for sentences of life imprisonment, nevertheless argued that in order to apply early release jurisprudence to life sentences the life sentence must be equated to a hypothetical fixed-term sentence, and that this hypothetical fixed-term sentence must be longer that than the longest actual fixed-term sentence imposed by an international criminal court or tribunal which is the 52 years imposed by the Special Court for Sierra Leone on Issay Sesay in 2009. In the Decision President Meron rejects Galić’s argument, finding that eligibility for early release of persons convicted by the ICTY falls exclusively within the discretion of the President and is not governed by German law, although domestic sentencing laws do provide a route to consideration for early release under Article 26 of the ICTY Statute, discussed below. Importantly, it also found that the existing MICT early release practice of serving two-thirds of a sentence before becoming eligible (not entitled) to early release should also apply to those serving life sentences. Interestingly, the Decision also makes clear that this two-thirds framework should be used for all convicted persons under the supervision of the MICT meaning ICTR convicted persons enjoy the same rule. As to how to apply to two-thirds framework to sentences of life imprisonment, the Decision agreed in part with the Prosecution submission that a sentence of life imprisonment should be considered both qualitatively distinct from and greater than a fixed-term sentence. It was not however convinced that this means that the MICT must consider life imprisonment to be a sentence longer than the 52 years Issay Sesay received at the SCSL, noting that SCSL chambers do not have the power to impose sentences of life imprisonment, which makes comparison between it and the MICT difficult and may be why the SCSL imposed such a long fixed-term sentence on Issay Sesay when a life sentence may have been more appropriate. Finding little precedent on the issue of life sentences and early release at the international level and noting that what precedent there is varies, including Article 110(3) of the Rome Statute which provides that when a person has served 25 years of a life sentence the ICC shall review it, and the ECCC’s position disclaiming competence (paras. 384-388) to decide on eligibility for parole of those sentenced to life imprisonment, and also considering the European Court on Human Rights review of national practices in Vinter demonstrate a wide range of approaches at the national level, President Meron suggests there is yet to be a customary legal norm on when a convicted person serving a life sentence becomes eligible for early release consideration and so considered the starting point should be the sentences given to similarly situated prisoners at the ICTR, ICTY or MICT. Wanting to avoid a scenario where those sentenced to life imprisonment are eligible under the two-thirds framework for consideration of early release before those serving fixed term of years, President Meron noted the longest fix-term sentence given and affirmed on appeal at the ICTY, ICTR or MICT is Juvénal Kajelijeli’s 45 year sentence. Therefore, for the purposes of applying the two-thirds framework of the MICT a sentence of life imprisonment is to be treated as equivalent to more than a sentence of 45 years. On this basis President Meron found that Galić should be eligible for early release upon having served more than two-thirds of 45 years, the highest fixed-term sentence imposed by the ICTR, ICTY or MICT which amounts to more than 30 years. The Decision also considers what happens if a fixed-term sentence over 45 years were to be imposed in the future? Would this skew the formula? On balance, the Decision finds that if a fixed-term sentence of more than 45years is to be rendered the principle of legal certainty requires that not change to the present calculation will take place, meaning that the two-thirds of 45 formula looks set to apply for the foreseeable future. The Decision also reiterates that the two-thirds framework is only one way of a convicted person applying for early release and that Article 26 of the ICTY Statute allows for consideration of early release if pursuant to the law of the State in which the convicted person serving his sentence that person is eligible for pardon or commutation of sentence, whether or not the person has served two-thirds of their sentence and on an application of a review of sentence which has no time restriction. So, despite Galić serving only 15 years of his sentence, some 15 years short of the 30 year mark, the Decision goes on to consider Galić’s application for early release under Article 26 of the ICTY Statue. However, despite signs of Galić’s rehabilitation given the gravity of the crimes committed against particularly venerable victims on a large scale over months, it denies the petition for early release. With this decision the Tribunals address an important and hitherto undetermined issue: whether convictions for genocide, crimes against humanity and war crimes side-step the body of international human rights law jurisprudence that declares life should not mean life without the possibility of review and early release. With this decision the Tribunals do not seek to disassociate themselves from this position but instead align themselves with international standards and provide those convicted of even the most serious crimes with the right to be considered eligible for early release. Not only does the Decision answer this question, it goes on to set out in unequivocal terms when early release consideration kicks in for life sentences. On this point its probably fair to say the Kajelijeli Trial Chamber and Appeals Chamber judges would not have envisaged the impact its 45 year fixed-term sentence would have, but this maximum fixed-term sentence is the number the MICT elected to plug into its two-thirds framework in order to calculate the minimum time to be served before a convicted person serving a life sentence becomes eligible for early release. The 30-year mark is interesting but pratcially remains a back-stop option for early release at the Tribunals. Ahead of it remains, firstly, the opportunity for a convicted person including those serving life imprisonment to apply for review of their sentence irrespective of time, and secondly, consideration of early release by the MICT once eligible under the domestic system. Therefore realistically, whether we will see any of those currently serving life sentences at the Tribunals reach the back-stop 30 year mark remains to be seen, but at the very least the back-stop has been determined.